The big boss busted his palm. Had to reset everything and reinstall all the apps..
And it's only 1 o'clock... Is it Friday yet? 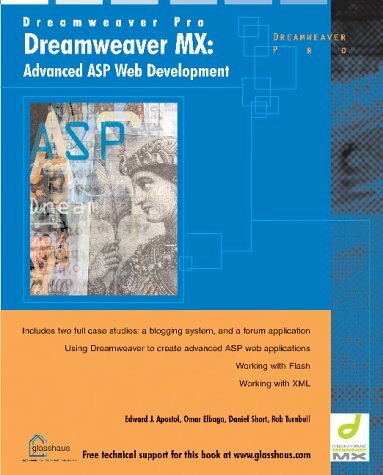 If you look really close at the book cover of Dreamweaver MX: Advanced ASP Web Development you just might see my name ;). This is my first cover credit on a book, so I'm pretty stoked about getting my personal copies. Do you think 8 foot is too tall for a shrine? I wonder if I'll ever get them though, since the Amazon page states that the shipping date is December 31, 1969..., ya think Michael J. Fox could help with this one?